The Kia SP2i compact SUV has been spotted once again in India in almost production-ready guise. The continuous testing of the upcoming compact SUV hints at manufacturers gearing for the launch of the SP2i. Although the SUV is codenamed SP2i, the compact SUV could be dubbed the Kia Tusker. 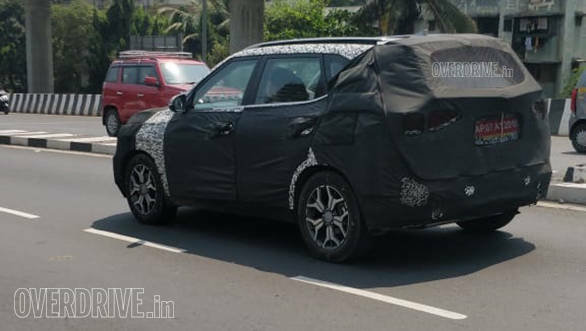 The spy shot reveals that the side silhouette of the upcoming Kia compact SUV is similar to the Hyundai Creta. The Kia Tusker gets roof rails to add to its SUV stance and the blacked out rocker panel. The Tusker sports the machined-cut five spokes alloys that we had seen on the earlier test mules as well. The shoulder line gets a chrome stripe to enhance the styling. The Tusker is expected to have a newly developed 1.5-litre petrol engine and the 1.6-litre (Hyundai borrowed) diesel engine that will be compliant with the BS-IV norms which will be imposed from April 1, 2020. The downsized petrol engine is expected to make its way in the soon expected second generation Hyundai Creta as well. The Kia Tusker will be manufactured at the company's plant in Andhra Pradesh, which will not only make the cars for the Indian market but will cater to the international market as well. 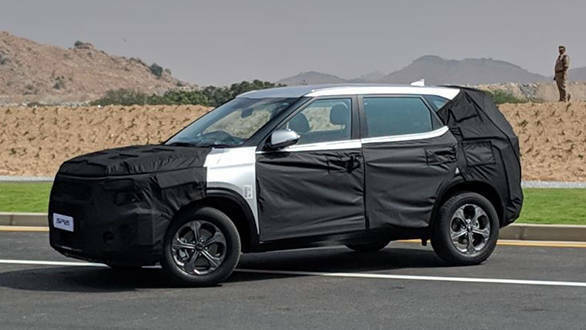 Post its debut, Kia's compact SUV will rival the Nissan Kicks, Tata Harrier and the Hyundai Creta.